Tam Vu, professor of economics, will serve as interim dean of the College of Business and Economics at the University of Hawai‘i at Hilo beginning June 17, 2017. Matt Platz, vice chancellor for academic affairs, made the announcement today in an email to the UH Hilo community. He says a national search for a permanent dean of the college will soon be launched. Prof. Vu received her master of arts in economics and doctor of philosophy in macroeconomics from UH Mānoa. She was appointed as an assistant professor of economics at UH Hilo in 2006. In 2011, she was promoted to associate professor, and in 2015 achieved the rank of professor. She is also a graduate cooperating faculty at UH Mānoa. 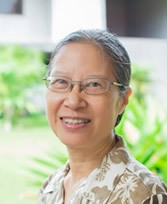 At UH Hilo, Vu has served as a department chair, chair of the Program Review Subcommittee for the Graduate Council, chair of the Instructional Technology Subcommittee for the UH Hilo Long Range Budget Committee, chair of the Faculty Congress Budget Committee, interim director of the Master in China-US Relations Program, and numerous other services to the university. Prof. Vu has also been the recipient of several research travel grants and was nominated for the Board of Regents Excellence in Teaching Award in 2014. Vu’s scholarly activity includes more than 30 refereed journal publications in the past ten years, multiple books and presentations, both national and international. “The Dorrance Scholarship has become a model for providing educational opportunities to first-generation college students.” — Chancellor Straney. Ten high school seniors from Hawaiʻi Island who are enrolling this fall at the University of Hawaiʻi at Hilo have each been awarded the Dorrance Scholarship. Jeffrey Cushing, Kealakehe High School. Stephanie Lewis, Kohala High School. Jaylyn Mahoe-Subica, Laupahoehoe Community Public Charter School. Nicole Garza, Kamehameha Schools Hawaiʻi. Chayna Yoshida, Keaʻau High School. Joy Boswell, Hawaiʻi Academy of Arts and Science. Emme Furuya, Hilo High School. Tharin Lewi-Ohashi, Konawaena High School. Alanna Pabre, Konawaena High School. 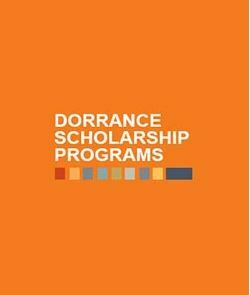 The Dorrance Scholarship was established by Bennett and Jacquie Dorrance at the Arizona Community Foundation in June 1999. The innovative, four-year, need-based award provides local students who are the first in their family to attend college, up to $10,000 a year in direct financial assistance. Recipients will also participate in a custom-designed summer bridge program, international travel, conservation experience, an entrepreneurship program and employment preparation, bringing the total estimated value of each award to more than $90,000. The Dorrance Foundation began offering up to 10 scholarships a year to Hawaiʻi Island high school graduates attending UH Hilo in 2012. The latest awards bring the total number of recipients to 59. Mathew Estrada, program coordinator, Dorrance Scholarship Programs, at mestrada[at]azfoundation.org or (808) 339-4500. Chancellor’s Scholars maintain a cumulative GPA of 3.25 and participate in leadership activities and community service. Thirteen students from Hawaiʻi’s public and private high schools have been awarded the prestigious Chancellor’s Scholarship by the University of Hawaiʻi at Hilo. The award, valued in excess of $28,000, covers four years of tuition for students graduating from a Hawaiʻi high school who earned either a grade point average of at least 3.5, a combined 1800 SAT (reading, writing, math) or a composite score of 27 on the ACT while demonstrating leadership and/or community service. Chancellor’s Scholars are required to enroll as full-time students and earn a minimum of 24 credits each academic year. They must also maintain a cumulative GPA of 3.25 and participate in leadership activities and/or community service with other Chancellor’s Scholars. The one-day workshop will cover sophisticated Excel solutions such as multi-sheet linking, advanced formulas, dashboards, pivot tables, pivot charts, and basic macro functions. The Chancellor’s Professional Development fund is supporting a limited number of employee tuition waivers for an Advanced Microsoft Excel workshop offered through the College of Continuing Education and Community Service. Prerequisite: Basic Microsoft Excel experience. DATE: Thursday May 18, 2017. 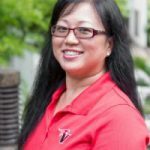 TIME: 8:00 a.m. to 1:00 p.m.
Instructor: UH Hilo alumna Claire Akau, BBA, an instructor at the College of Business and Economics. Ken Hon in the field. 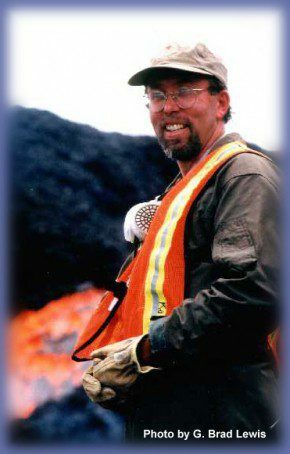 University of Hawaii at Hilo Chancellor Don Straney announced today Ken Hon, professor of geology, has accepted the offer to serve as interim vice chancellor for academic affairs effective July 1, 2017. He will be replacing Vice Chancellor Matt Platz, who previously announced his intention to return to the classroom in August, while a search is conducted for a permanent vice chancellor. 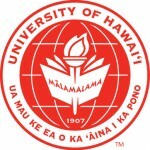 The appointment will be posted on the UH Board of Regents agenda later this month. 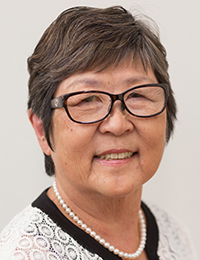 Hon has served as a faculty member at UH Hilo since 1997. “His knowledge of the university and experience on the Research Council give him a campus-wide perspective, which is important for this position,” says Chancellor Straney today in an email announcement to the university community. Vice Chancellor Platz will work with Professor Hon this summer to ensure the Office of Academic Affairs is prepared for the start of the new academic year.